Celebrate Valentines Day with this delightful song! Listen to a sample of the instrumental version. 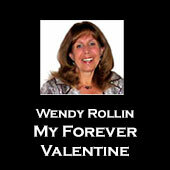 This song is also available on Wendy Rollin's album Holiday Songs.